To modify a scheduled stream, click Scheduled tab on the sidebar. 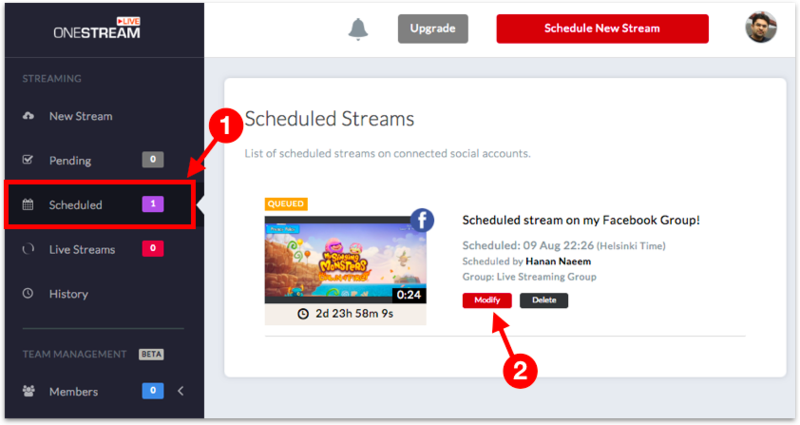 All your scheduled streams will be displayed, click Modify button for the stream you wish to modify. Streams can be modified only until 5 minutes before they are scheduled to go live. You can delete a schedule any time though.